David Barkin, is Distinguished Professor at the Universidad Autónoma Metropolitana, Xochimilco Campus, Mexico City and a founding member of the Ecodevelopment Center- He was a recipient of the National Prize in Political Economy in 1979 for his analysis of inflation in Mexico. 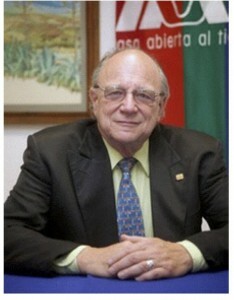 He was elected to the Mexican Academy of Sciences in 1992 and is an emeritus member of the National Research Council. He is visiting at Humboldt University as a Georg Forster Fellow during the 2015-2017 period. Environmental Governance in Latin America (2.2 MB) 2016-11-07 Author: David Barkin. OvercomingPoverty (564.5 KB) 2016-11-07 Author: David Barkin.